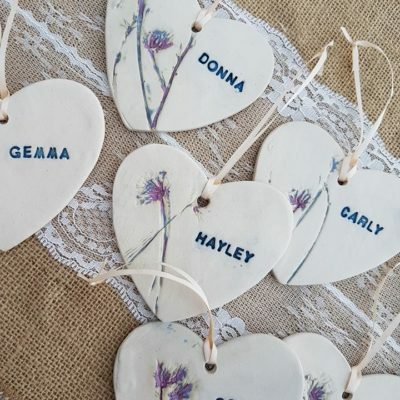 All of my pieces are handmade in my studio, and can be personalised with any wording, names or dates. 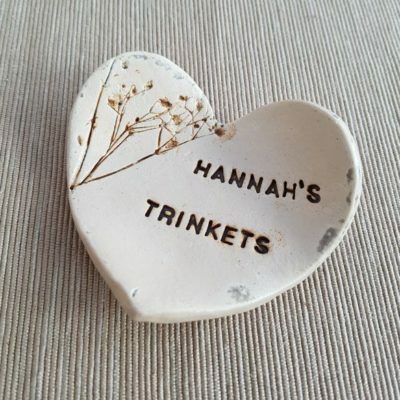 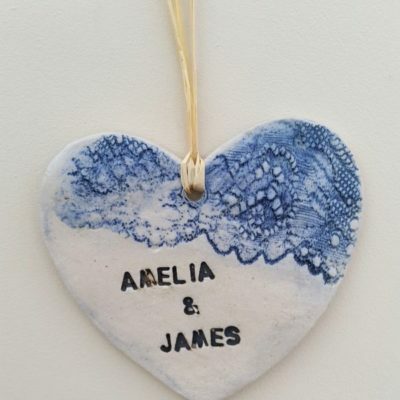 The gallery above shows selected examples of previous wedding gifts I have made, including heart shaped hanging decorations in different sizes, dishes, framed pieces, vases, and other keepsakes. 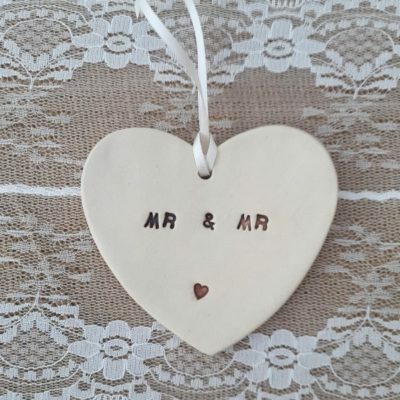 If there is anything not shown in particular that you had in mind, please feel free to get in touch. 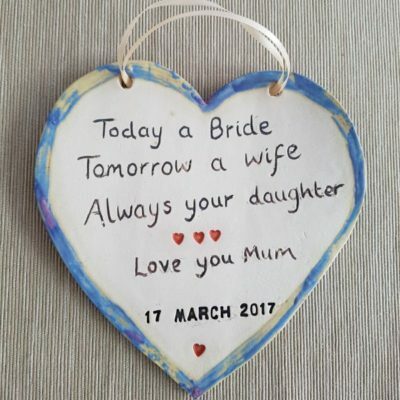 I make wedding gifts not only for the bride and groom, but also for the bridal party including your maid of honour, bridesmaids, best man, mother of the bride, mother of the groom, ushers, flower girl, page boy. 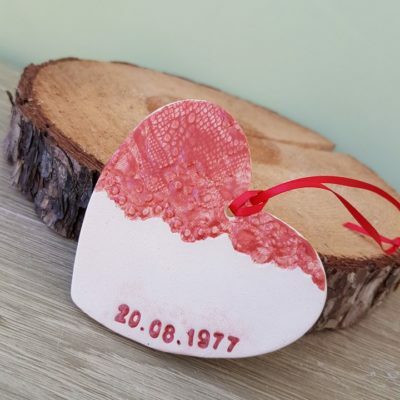 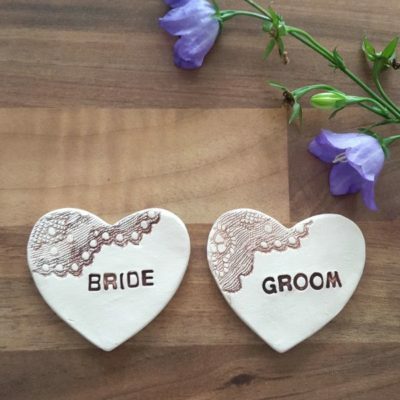 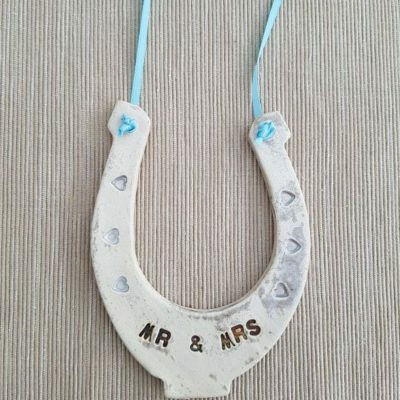 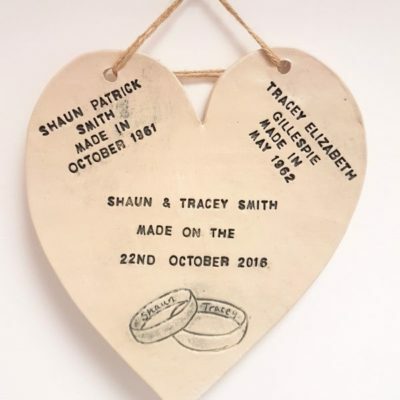 If you are looking for more of a general wedding gift that is not personalised, you will find plenty of other ideas in my online shop. 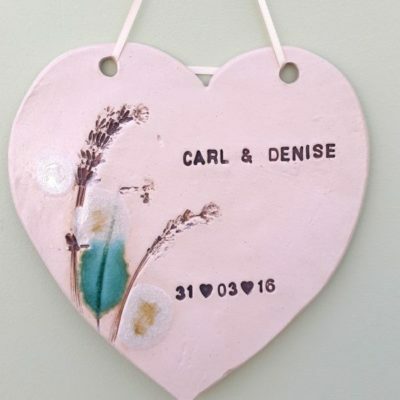 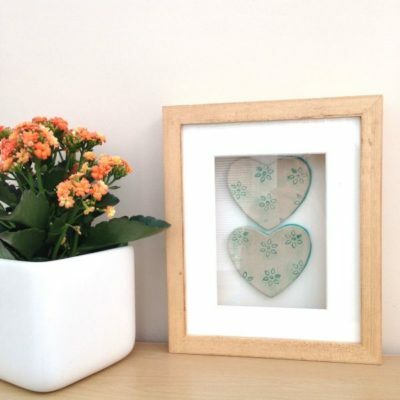 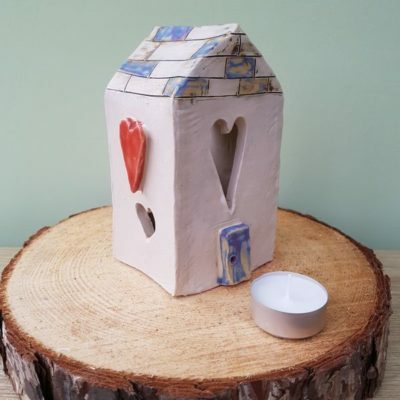 Sets of heart shaped coasters, large flower impressed fruit bowls, curved freestanding art, plant markers and ceramic tea light houses are just a few ideas that would make perfect gifts.